As you begin living An Inspired Education you will be creating a family intellectual life. This creates a well-roundedness in the family unit as you live together; now you will also be thinking together. A natural progression of this will be reaching out to those around you and sharing this intellectual life until it reverberates out into the world. These simple practices and this way of living can and do make a significant difference in the world as a whole, right from the comfort of your own home. By using self-education practices and employing the classics, your children will learn far more than we could ever teach them as parents or teachers through lessons or traditional teaching styles. Classics teach human nature, which is the main ingredient of leadership. Even though we’re reading about someone else’s life, we are at the same time learning about ourselves and our own personal nature. As we read a classic and become engaged in the story we are learning from others, the results of choices and how to make our own choices that will carry us to the results we desire. Part of being human is having the ability to face the most difficult questions in life and live through what is most meaningful in life, which is our internal life. As we face daily our joys, love, fear, anger and so forth, we continually ask ourselves if this is what we should be feeling, looking for some sort of guidance or confirmation that we are living appropriately. Through reading the classics you are able to walk beside the greatest people who ever lived. Through these books you are able to share not only their stories but also their thoughts and feelings. You learn how they triumphed in the most difficult situations. This wisdom then becomes a part of the student and is accessed upon demand. Classics can be hard work at times; however, it’s the “working it out” lessons where we learn and expand our thinking skills. Thinking is like exercise and it must be done regularly to be strong and purposeful. This workout in the reading of classics not only builds thinking skills but also changes the reader forever. Through stories and the sharing of struggles and triumphs, the reader becomes a better person and has more to give and share with the world. There are only so many hours in a day to read, so it’s imperative to use your time wisely. By the age of 10 children as well as parents can be reading two hours a day. Choose only the best books making the majority classics. Include books that are aligned with the reader’s purpose or building up of one’s character. While reading the classics it’s important to develop a habit of reading and then reflecting. Include in this practice personal reflection as well as reflecting upon others. For personal reflection I recommend keeping a journal and using this as a regular tool in your education. When reflecting upon others this can be done through discussions or by the reader organizing what was learned into a presentation, service or product. What can you put into action or apply to your everyday living? Note in your journal, or reflect to others action steps you want to implement as a result of reading a particular classic. Keep in mind that change and forming habits take time. Allow yourself to master a particular habit before implementing another one. It’s better to be focused and successful rather than overwhelmed and frustrated. Create the physical environment that supports reading for learning. The more comfortable the student is, the more learning is absorbed. Choose a place for studies where fresh air is circulating, drink plenty of fresh spring water, have good lighting preferably from all sides to prevent shadows or glares, wear comfortable clothing and preferably keep the temperature a pleasing 68-72 degrees. Most importantly, keep the environment quiet and free from distractions. The family as a whole needs to make it a priority that a certain block of time is reserved for quiet reading. When the family as a whole respects these described conditions learning is made easier and will happen at natural speed. Your homeschool is extremely important for the development of your children, the building of family relations and as a center for contribution to society at large. Keeping your focus on excellence will be an investment that pays multiple dividends in a very good life filled with love, peace and harmony. Happy reading! Begin creating your own classical books list. Include in it the books you feel most important for your children to read before they complete their homeschool studies. Establish a specific time block for reading. Create an environment supportive to everyone’s habit of reading to learn. Provide a journal to be used for note taking and writing reflections. Discuss readings and share with each other your learning and observations. Support each other in the habits that each wants to implement from what they’ve read and learned. 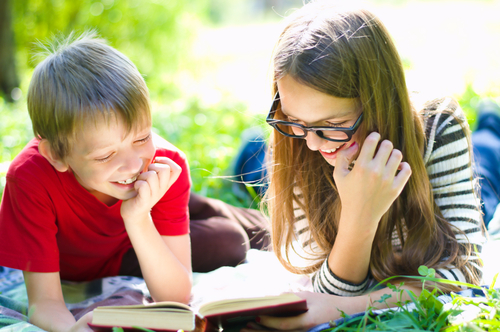 Allow each child to have a unique reading list that respects their values and educational needs. Gather as a family and establish your reading block of time and set up parameters to respect everyone involved. Build up reading time gradually with each child rather than demanding two hours immediately. Start with what’s comfortable with the student, and if that’s 20 minutes, then each week add five minutes until you have achieved up to two hours or more. Encourage journaling, narration and even project building from what is read. What can be applied to everyday life from readings? Let them make things, build forts, do drawings, dress-up and drama, artwork, cooking… let your imagination go.